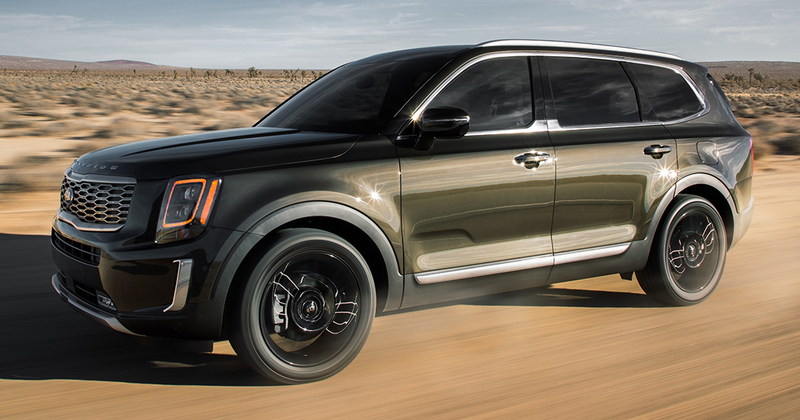 Has anyone been checking out the upcoming Kia Telluride? Its looking like a lot of car for the money and it comes with an amazing amount of standard equipment. Not to mention is starts just hair above $30k and is arguably one of the best looking vehicles Kia has ever produced. Its a KIA which I understand is not a bad vehicle but its not a VW or Audi. U get what u pay for. The Atlas was by far the best deal for the buck when I looked at all the others out there. SO far we are NOT disappointed at ALL. We get nothing but complements on it. amalanrajan and hfqkhal like this. I have a hard time looking at this and not thinking its a GM product. Throw a GMC or Cadillac badge on that grille and it might just fools someone into thinking its a Tahoe/Suburban or Escalade. Kia has come along way with their styling, both inside and out. That being said I worry about what depreciation would be like on it. Its basically identical to the Palisade, though it is the better looking car imo. Have to wait on some deliveries to see what build quality is like. It still doesn't help their brands image at the end of the day. Pricing made up for it along with the fact they have the most reliable and cheapest to maintain, industry-wide. Its better than I expected from Kia but I wouldn't be surprised if some issues arise shortly after launch with the new platform. Ride quality and body control are known problems with the Sorento, though it does look like they have improved the interior styling and quality of materials. I have seen some criticisms of the infotainment system, but that seems to be the case with any new touchscreen these days. Not all that familiar with Hyundai's 3.8l V6, but I know its been in there Genesis models for a few years now. Drastic changes taking place here compared to the Sorento should weed that out, so I wouldn't be all too concerned. If you are, just wait for feedback from owners 3-6 months out from now. Kia and Hyundai have a lot to prove, so my hope is it translates to reliable products. Seeing this post made me curious. So I did some digging. One thing I just discovered is that the Kia has a 13.0:1 compression ratio, requiring premium unleaded fuel. This will increase your driving cost over the life of the car in a rather dramatic fashion, as premium (not mid-grade, it needs the high octane stuff) gasoline can cost 20 to 30 cents more per gallon. I'll add more if I find more of interest. The dimensions for the Kia are similar, but one curious note is that the wheelbase is longer on the Atlas (right column), which gives higher stability when cornering/turning sharply.